Believing these divorce myths could cost you big time, an experienced Littleton divorce lawyer explains. Contact us for the best Colorado divorce representation. Realizing the best possible outcomes from the divorce process. Unfortunately, however, there are a lot of misconceptions out there about divorce, and buying into these divorce myths could end up costing you a lot more money, time and stress in the long run. To shed some light on this topic, this blog series will focus on dispelling some of the most common and costly divorce myths. While this discussion regarding divorce myths and facts points out some insightful info, contact a trusted Littleton divorce lawyer at Bahr & Kreidle when you need the best representation in a Colorado divorce. Have You Heard Any of these Common & Costly Divorce Myths? 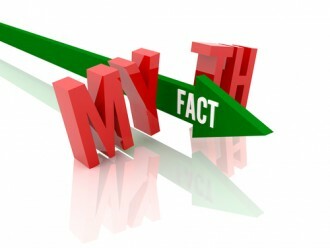 Myth 1 – I signed a prenup, so I won’t get anything in the divorce. Not all prenups are valid, and it may be in their best interests to challenge the legitimacy of a prenuptial agreement. Even if prenups are valid, they cannot dictate the terms of things like child support and/or child custody; in the event they do, the court can throw out these provisions. Having the representation of an experienced attorney in divorce cases that involve prenups can be essential to ensuring that final divorce decrees or settlements are equitable. Myth 2 – Spousal support is always granted in divorce. How long these payments should continue. So, if a lower earning spouse has income from other sources (such as from a new partner, benefits, etc. ), this could impact his or her eligibility for spousal maintenance. We’ll continue revealing the facts behind some common divorce myths in the upcoming second and third parts of this blog series that will be posted soon – be sure to check them out! And, in the meantime, share your thoughts about these divorce myths and facts with us on social media – we want to hear from you! Are you ready to move forward with a divorce? If so, it’s time to contact an experienced Littleton divorce lawyer at Bahr & Kreidle. To find out more about how we can help you, let’s meet for a free, no obligations initial consultation. You can set up this meeting by calling us at (303) 794-7422 or emailing us using the form on this page.